What is the best option for Roofing spray foam & material application during cold winter months? 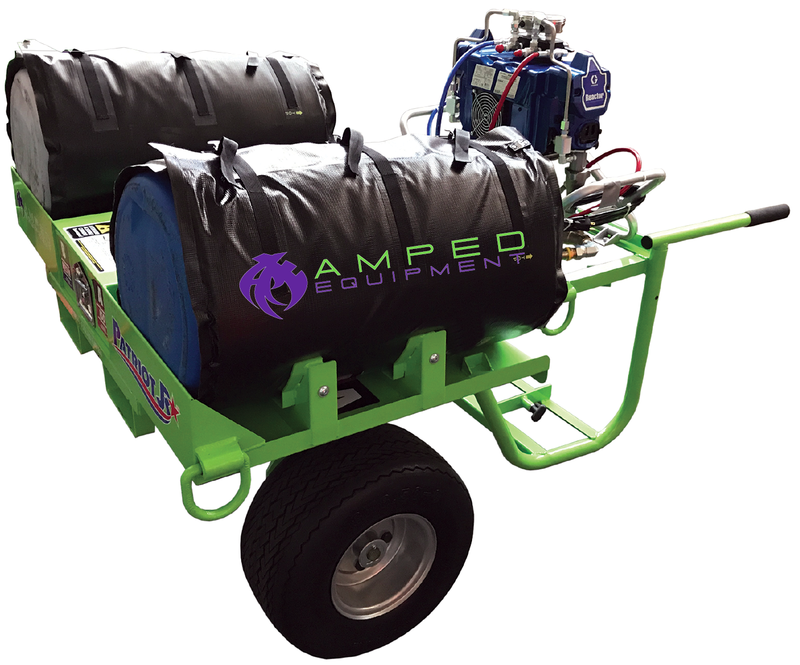 Roofers agree that the best mobile spray foam cart is "The PJR" - not only for cold temperatur application, but also for year round 2-part spray applications. The PJR has the most reliable, efficient heating equipment options to keep your crew productive through the winter months. 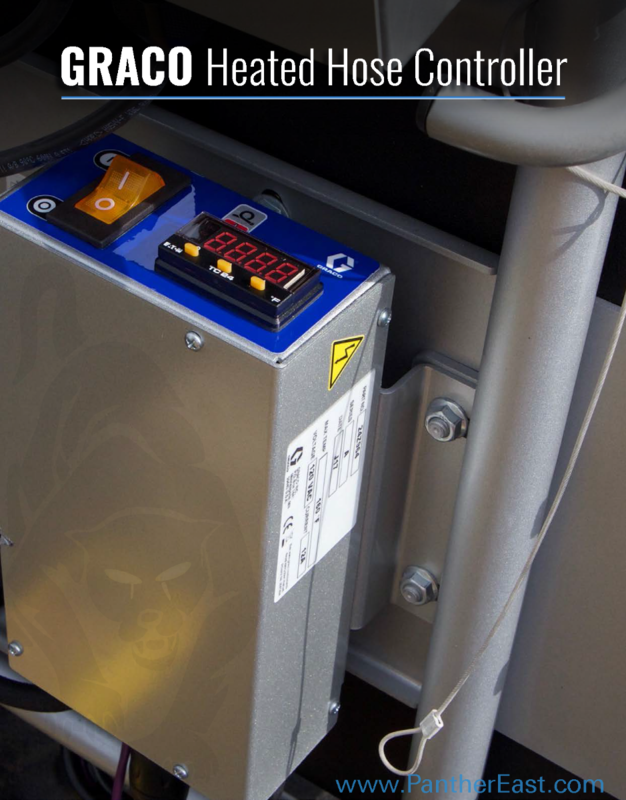 Prevent waste & increase your production by maintaining consistent temperatures with The Patriot Junior a.k.a The PJR. 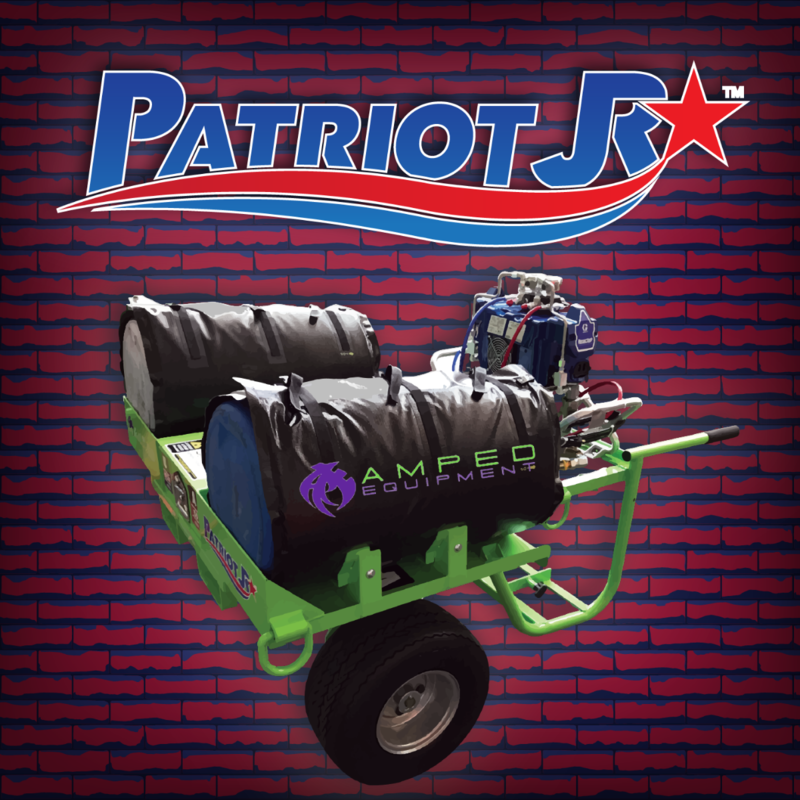 Roofers all over North America prefer The Patriot Junior for spray applications year-round. 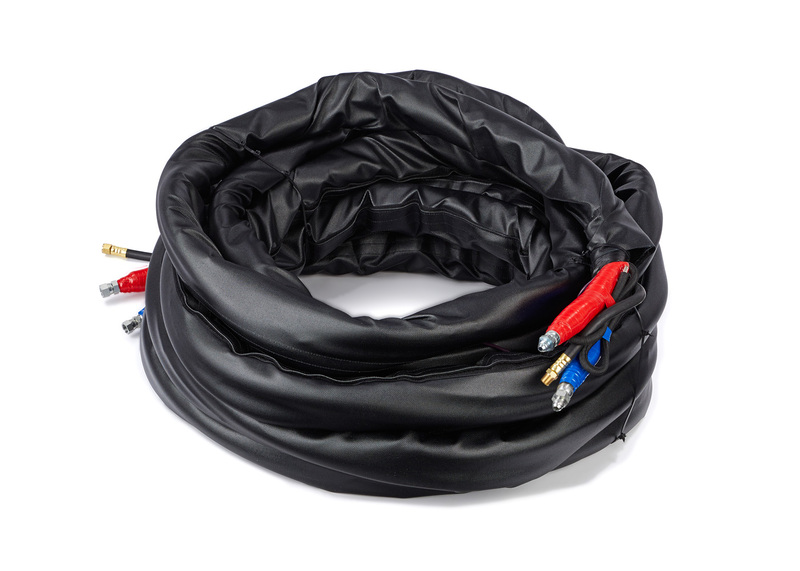 The PJR / Graco Independent Plug-In Line Heated Hose provides hose heat in a stand-alone system that can be plugged into a 120v outlet or 240v outlet. Heated hose vailable in 50, 100 or 150 foot continuous lengths, providing total control for fast, reliable heat to meet your application needs. 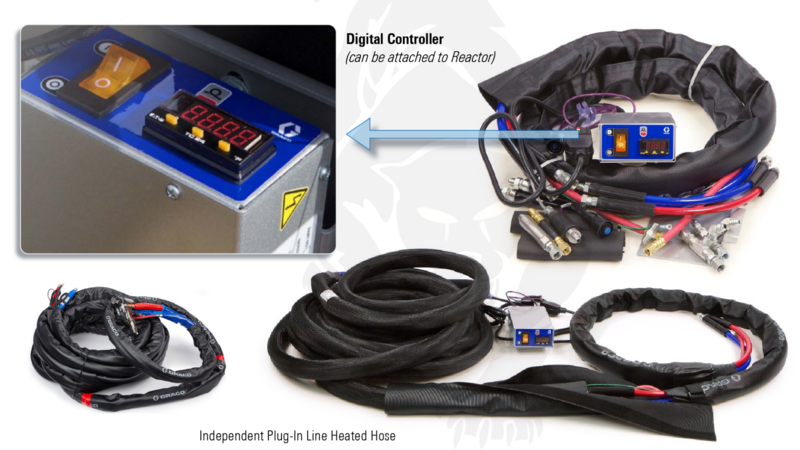 Save time and money with consistent heating temperatures and better material yield with the digital heated hose controller! Be More Productive: Eliminate recirculation time - you no longer need to wait for the chemical to get up to temperature. Better Chemical Yield: Maintains chemical temperature in hose when not spraying, reassuring no cold material is being sprayed and allowing for better yield. Extend Your Spray Season: Heated hoses extend the spray season into the colder months without worrying about alternative ways of keeping chemical warm.